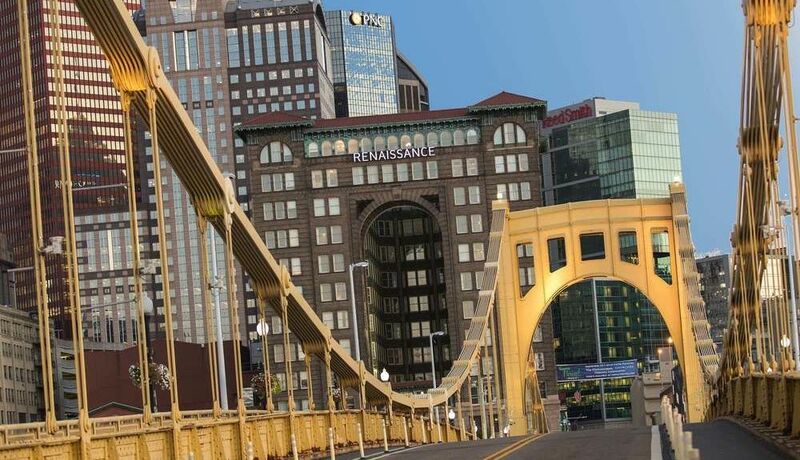 Enjoy the area's theater scene, architecture and entertainment and make a vacation rental your home during your stay in Downtown Pittsburgh. This cosmopolitan city is known for its sporting events, restaurants and riverfront. PNC Park and Monongahela Incline are just a couple of the must-sees in the area. Whether you're planning a family vacation, friends trip or romantic retreat, HomeAway has a great selection of vacation homes. Many rentals come with a full kitchen and separate dining area, perfect if you need a space for entertaining. The nearest airport is in Pittsburgh, PA (PIT-Pittsburgh Intl. ), located 14.1 mi (22.6 km) from the city center. If you'd rather travel by train, you can make your way to Pittsburgh Station. You can get around Downtown Pittsburgh by catching a ride on the metro at Wood Street Station, Steel Plaza Station or Gateway Station. Our 2019 property listings offer a large selection of 67 vacation rentals near Downtown. From 55 Condos/Apartments to 3 Townhouses, find a unique house rental for you to enjoy a memorable stay with your family and friends. The best places to stay near Downtown for a holiday or a weekend are on HomeAway. Yes, you can select your preferred vacation rental with internet/wifi among our 62 vacation rentals with internet/wifi available in Downtown. Please use our search bar to access the selection of vacation rentals available.